Frame: drawn tubular steel structure upholstered with cold flexible polyurethane foam classified as a class 1IM fire-proof material. Seat springs: intertwined elastic belts. 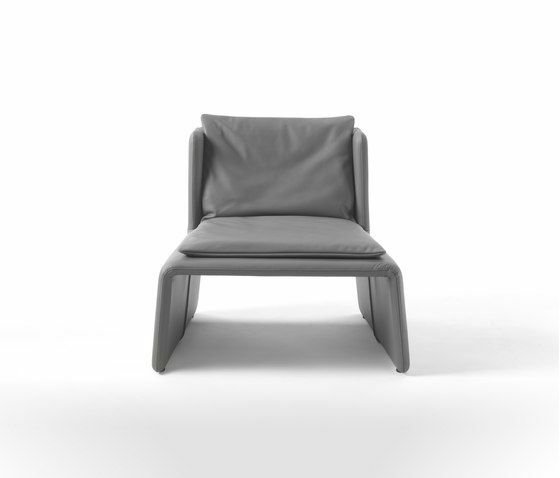 Seat cushion: in foam polyurethane fixed to the structure of the armchair by means of velcro and zip. Cover: not removable.